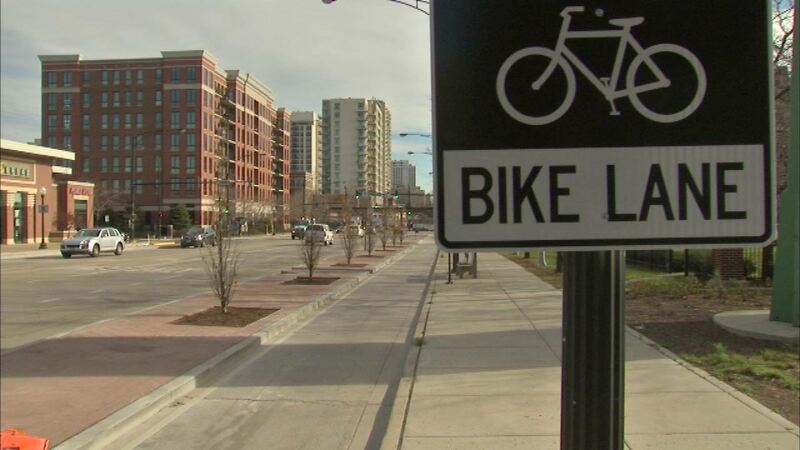 CHICAGO (WLS) -- Bicyclists now have a safer route to travel through Chicago's Old Town neighborhood. A protected bike lane is now open along Clybourn Avenue between North and Division. A raised concrete median now provides a buffer between bike riders and drivers.